The Lensculture Exposure Awards were announced yesterday and I'm honored to have been named as one of the finalists. It has been a pleasure to read the jury comments and look through the work of all of these talented photographers. Congratulations to all of the winners and finalists! 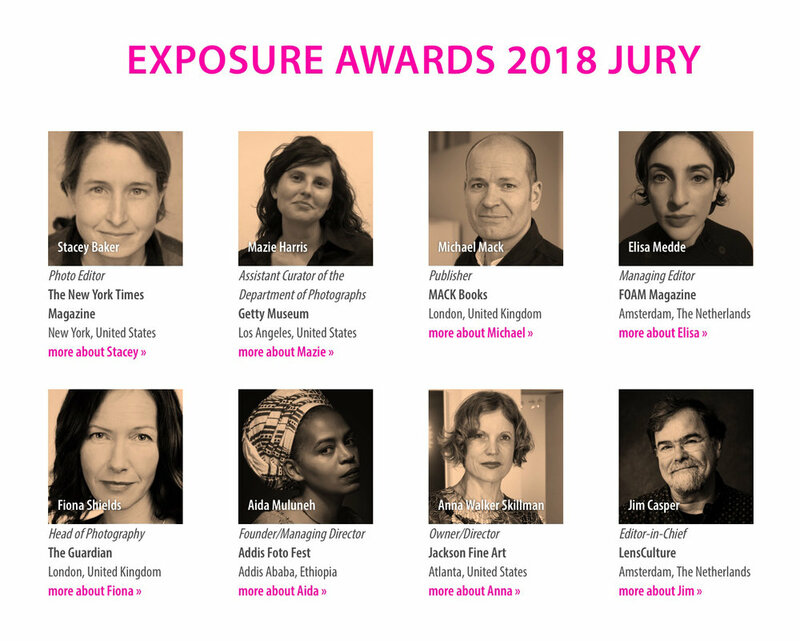 "LensCulture is proud to announce 39 excellent photographers as winners, jurors’ picks and finalists of the 2018 Exposure Awards. Selected by a diverse, international jury, the award-winning photographers hail from 16 countries, representing an intriguing and inspiring cross-section of contemporary photography today. These remarkable projects feature work covering a broad range of genres and subjects, from fine art and conceptual work, to documentary, portrait, visual storytelling, fictional narratives, poetic and personal interpretations, current events, alternative process, staged photos and more. Each of these photographers, in their own way, shows masterful control of the visual language of photography, and each offers a unique point of view that—according to the experts on our jury—deserves world-wide recognition. We hope you discover several projects here that truly inspire you." The Lens Culture Exposure Awards 2018 were juried by: Stacey Baker - New York Times Magazine, Mazie Harris - Getty Museum, Michael Mack - Mack Books, Elisa Medde - Foam Magazine, Fiona Shields - The Guardian, Adia Muluneh - Addis Foto Fest, Anna Walker Skillman - Jackson Fine Art, and Jim Casper - Lens Culture Amsterdam.